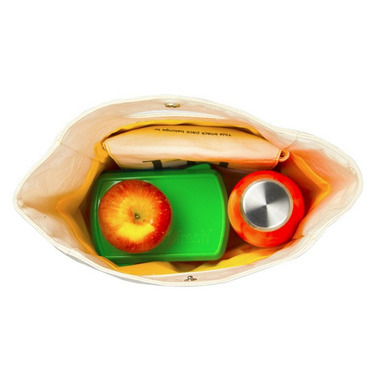 Fluf Organic Cotton Lunch Bags pack all of the things you want in your lunch and none of the things you don't. Made with 100% certified organic cotton and a tested food safe lining, they are free of BPA, phthalates and lead. Printed with low-impact, AZO-free dyes, the fun and whimsical illustrations are coveted as much by grown ups as by kids. Fully machine washable (with a wipe able, water-resistant lining), these bags are easy to keep clean, functional, durable and - above all - healthy and safe. 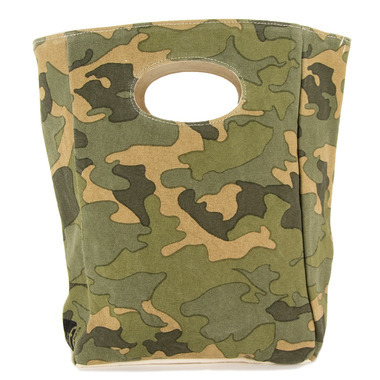 Materials: Lunch Bag is made with certified organic cotton; lining is 100% polyester.